Modern technology and communications have made it easier than ever to make a living from your own home. With a fast home internet connection, you can contact your employers, send over files and projects quickly and easily, and use cloud storage to back up your information on a secure and remote server. However, working from home isn’t as straightforward as finding a job and getting right to work. It’s good to have questions before making a big decision about your career, and it’s equally good to get answers to those questions. 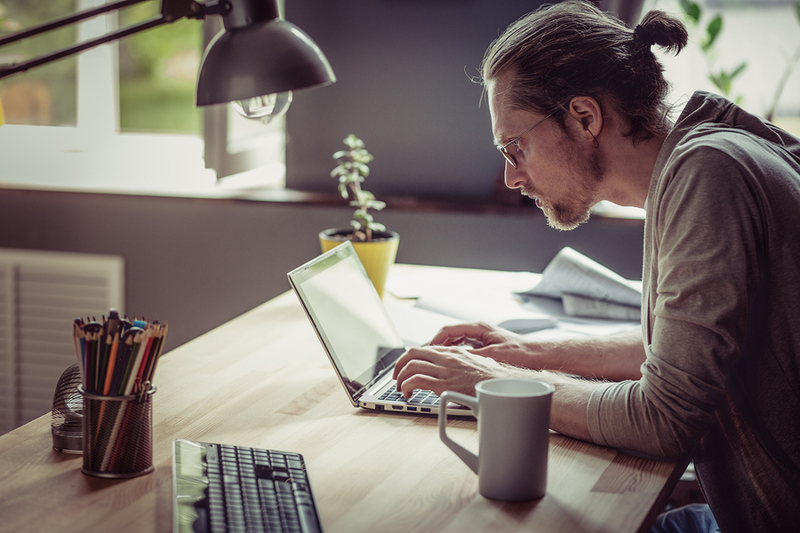 You shouldn’t think of telecommuting or getting a job at home as being some kind of “easy mode.” While it can be a lot more convenient, you still need to hone your skills to succeed and make a good living. In fact, skills like self-motivation and organization become more important because you’ll be working on your own schedule while still needing to hit deadlines or quotas. Some people work better in a more structured environment like an office, and if that sounds like you then working from home might not be your best option. The answer to this depends on what your job requires. Some jobs only need you to send in text files or spreadsheets, and in this case, your home internet speed isn’t important. Others will ask you to attend video conferences or deliver large software files, and if you want things to go smoothly you’ll need a fast home internet. Fiber connections are your best bet for speed, at least if they’re available in your area. Is Every Online Job Fair Game? Unfortunately, many of the employers you’ll find online aren’t legitimate. While some real jobs ask for a sign-up fee to cover basic training materials and paperwork, others are pyramid schemes that trick people into buying useless products and convincing other people to join up instead of focusing on the merchandise. Others will ask you to work for them but keep coming up with excuses when the time comes to pay you for your work. Make sure you choose your employers carefully before you commit any of your time or money. Working from home isn’t for everyone, and it’s not free of problems, but many people can thrive in remote jobs and self-employment. If that includes you, there are a growing number of professions and opportunities you can choose from. Each one requires a different set of skills, but all of them start with a home internet connection and the motivation to succeed.